"Daily Scripture Readings of the Roman Catholic Liturgical Calendar"
On February 7th of 2005, I plugged a microphone into the side of my notebook and began reading the Scriptures for the day. For more than a decade Verbum Domini was the longest-running Catholic Podcast on the Net. It was actually the second expressly Catholic Podcast. My pal Jayson Franklin began producing The Catholic Cast shortly after Christmas of 2004. Alas, Jayson ceased production in July of that same year. Father Roderick Vonhogen's The Catholic Insider came along in April of 2005, and after it a flood of others, including The Saintcast, The Rosary Army Podcast, Catholic Rockers, Tupelo Catholic, Catholic Family and so many more. In those early days of Podcasting, we still hadn't figured out precisely what the medium was. Was it broadcasting? Was it blogging? There was a lot of experimentation going on, and issues relating to copyright and licensing were still very much up in the air. On Wednesday, September 7th of 2005, I received a "cease and desist" email from the United States Conference of Catholic Bishops. From the beginning, I had been reading from the New American Bible, to which the USCCB held copyright. The permissions page on their Website at the time allowed text from the NAB to be used in radio or television broadcasts, and the Lectionary Readings for the day to be used without license for "one time use." There was language which required permission for use "in a sound or video recording" but I believed that to mean audio tapes, CDs, DVDs, etc. - not Podcasts. I did comply immediately with their order, using the Douay-Rheims version for a time and then gaining permission from the U.S. Council of Churches to use their Revised Standard Version for Catholics. The ornery side of me still counts it as something of a badge of honor to have received a C&D from the Bishops. Joel Anderson of A Klingon Word From The Word approached me in October or November of 2005, and asked if I could use some help with the Podcast. He became the first guest lector for the program and has continued reading for it over the years. James Jerskey followed shortly thereafter, then the Sweeney family. Many other lectors joined in this volunteer effort over the years to bring the Scriptures to life each day. In February of 2007 after two years of producing Verbum Domini, I decided that it was time to place it in someone else's care. There were several reasons for this decision. Part of it was a desire to keep the program independent from advertising. I was going to work for an online media company that appended ads to their content and I thought there might be a conflict if I were to host the program elsewhere. Also, I had already drawn quite a bit of fire from politically conservative Catholics during those first two years over my own left-leaning outspokenness. I did not want that to become a distraction or a hindrance for listeners. My friend Greg Willits worked to bring the program under the auspices of SQPN. It has remained under their care ever since, until the decision was made to end the program in March of 2016. Numbers of listeners had been decreasing and the USCCB's own podcast of the daily readings made it somewhat redundant. 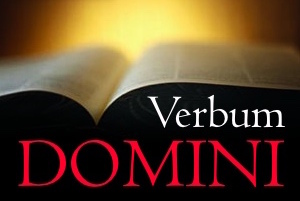 Until the end Verbum Domini remained an important part of my daily devotional life, and to that of thousands of others around the world. I'm thankful to the volunteers who read and produced and coordinated the effort, particularly to David Sweeney who has taken the lead these many years. They remain in my prayers. It gives me a great deal of pleasure to think back on those early days of Podcasting. We didn't know what we were doing. We were just doing it. We had grand notions that we were changing the world, and it was quite an experience. There are tens of thousands of Podcasts listed at iTunes these days. Giant old media companies have gotten into the mix and giant new media companies have been created around the technology. Despite that, individuals with something to say can still plug a mic into the side of a notebook - or grab a video camera, or pick up a smart phone - and say it, with the likelihood of reaching thousands and the possibility of reaching millions.